Once again, United Church is teaming up with Emmanuel Lutheran Church and Bethlehem Lutheran Church to sponsor the 2019 Easter Egg Hunt, open to the entire community. When? Saturday, April 20, at 10:00 a.m.
Children over 8 years old will be teamed up with younger children to help them find eggs. Call United Church at 834-4257 for more information. That’s when resurrection happened. When it was too dark out to tell what was what. When it was so dark out that you couldn’t see your hand in front of your face. When you could only guess about the details of the shapes before you. That’s when resurrection happened. And I think there’s a lot of hope in that. It’s in the darkness that my heart needs to count on the hope of the resurrection. It’s when I don’t know what’s next in my life that I need to know there’s possibilities. It’s when your child has made a life choice that is going to cause them immense pain that you need to know there’s something beyond this choice that will bring them back to the life that is really life. It’s when the doctor tells you that your cancer must be tackled with extensive treatments that you need to know there’s a possibility for healing and wholeness on the other side of those treatments. It’s when you stand at the grave of your loved one, eyes stained with tears, that you need to know that the grave cannot hold your loved one forever. Whatever the resurrection is, it happened in the dark hours before dawn, with no human witnesses, with no recording of the actual events of Jesus’ resurrection. Even as we try to describe it or tell about it, our words cannot contain it. All we can do is have faith in the accounts of people who went in those dark hours before dawn to prepare for death and found life. All we can do is trust the recorded appearances and sightings and encounters with the Risen Jesus, told again and again in the years since the darkness of Jesus’ death covered the earth. All we can do is believe! We can believe that whatever happened in those early morning hours, while it was still dark, changed everything. We can believe that the empty tomb and the empty grave clothes meant that Jesus conquered death, not just for him, but for all of time. All we can do is believe that Jesus’ death and resurrection pours out hope into our darkest moments too. May you so trust and believe in the resurrection that the light of Christ shines brightly into every dark moment you experience. 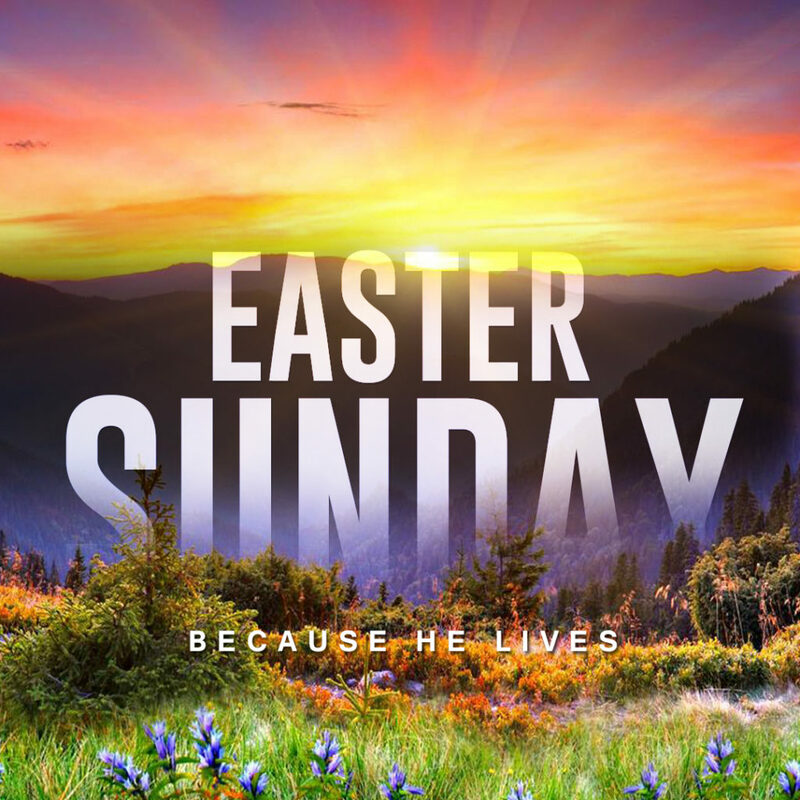 Happy Easter, my dear friends in faith!